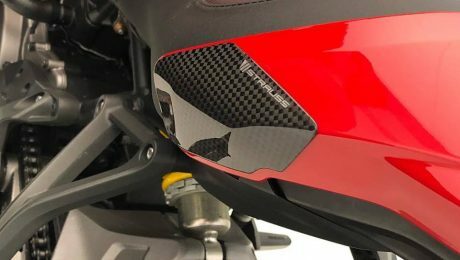 Posts tagged "Strauss Carbon Fibre Tank & Tail Protectors"
Protect your expensive fairings with Strauss Carbon’s high-quality carbon fibre tail fairing sliders. Each protector is made out of super-light and super-strong carbon and DuPont™ Kevlar® combination which is proven to be the most effective crash protection. Sliders are finished in a high gloss UV protected lacquer offering excellent UV resistance. Offering excellent crash protection and wear resistance. Each piece has been meticulously designed to protect the most pronounced edges of motorcycle and protect what could be an expensive repair bill. 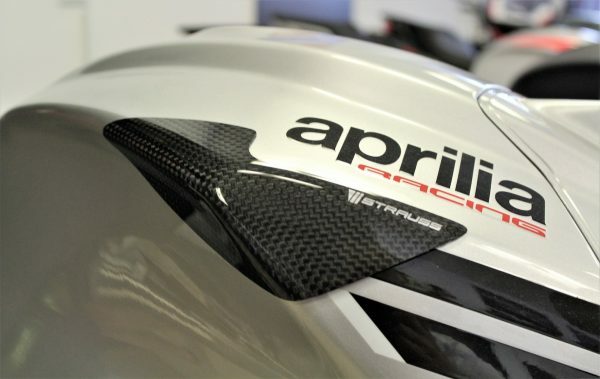 Strauss Carbon Fibre Motorcycle Tank Tail Protectors Sliders Aprilia BMW Ducati Honda Kawasaki Suzuki Triumph Yamaha are produced with smooth lacquered edges to help prevent any marks to your precious paintwork which many other brands overlook. 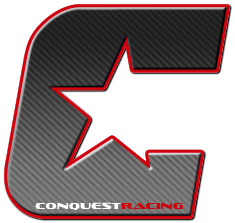 The application takes only minutes and they could save you having to replace your fairings which can get dented or scratched in the event of a crash. These crucial protection pieces are highly recommended for the track and are also great for protecting your investment on the street. For the installation, we advise using neutral silicone gel ( not acetic ). The set includes 2 sliders for fuel tank (left and right side). 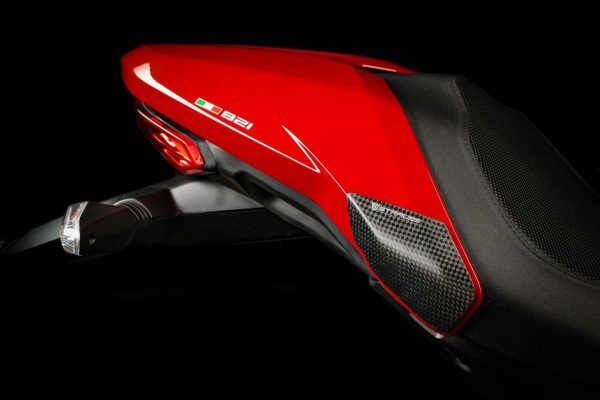 The Strauss company is based in Slovenia and is specialised in producing high-quality carbon fibre parts for motorcycles. We have more than 20 years of experience in this exciting industry. All parts are produced in-house using our own molds.